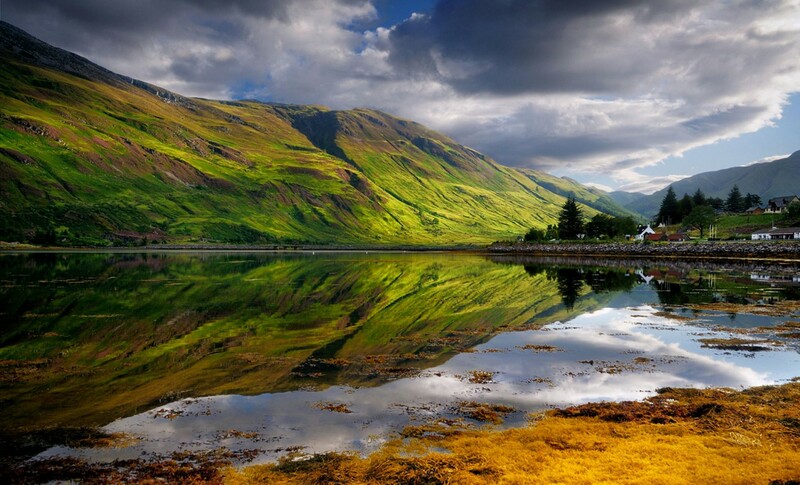 Jamie pulls out all stops in an effort in turn the Jacobite army away from impending slaughter at Culloden Moor, while Claire comforts the ailing Alex Randall; and Alex devises an outrageous plan to save his child’s mother. In a sports-football sense . . .
A Hail Mary is a last-ditched effort, a desperate attempt by a team to win and avoid a loss. The quarterback of the team that is behind throws a long, last second pass towards the end zone hoping his team member will catch the ball and score a touchdown. If you’ve ever seen such a play, you watch while holding your breath and hoping your heart doesn’t jump out of your chest. If the play is successful, it’s the most thrilling thing to witness. If not, and it’s your team, it’s the most devastating. In a religious sense . . .
A Hail Mary is a Catholic Prayer asking for the intercession of the Blessed Virgin Mary. With this being the penultimate episode (next to the last one), the title is appropriate with where we are in the story. 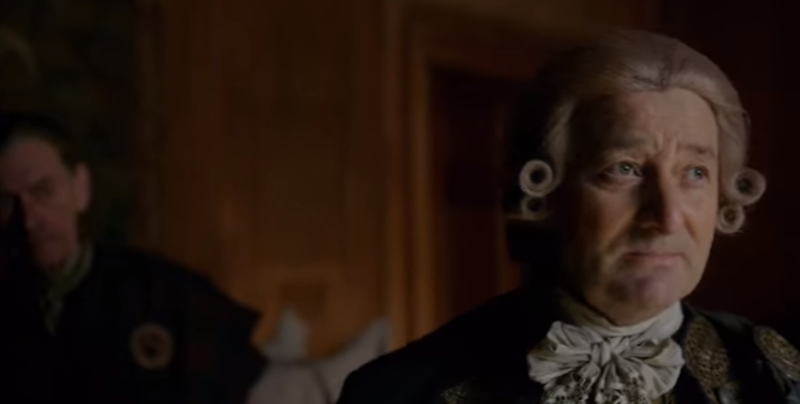 Despite Jamie and Claire trying to thwart the prince’s insistence of going to war throughout the entire season, nothing thus far has worked to change the course of history. It will be interesting to see if Jamie asks the prince for his horse back. I cannot even imagine being in any of their shoes. They know that in three days the Battle of Culloden will come and, from Claire, they all know the outcome will be total devastation and loss. 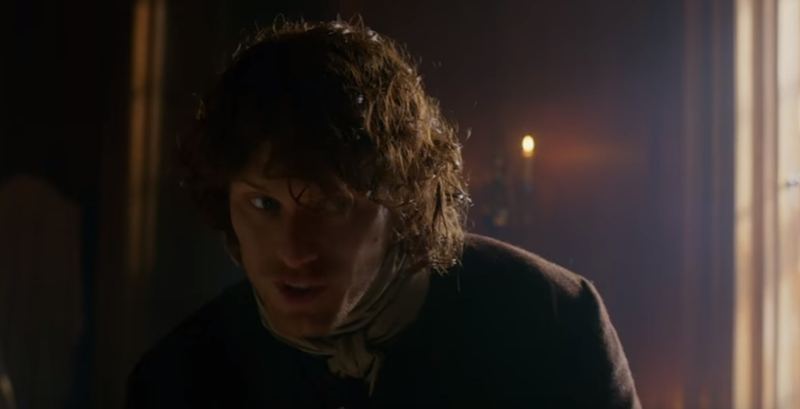 What else can Jamie do but throw out a Hail Mary as a last ditch effort to save them all. We will trap the British between us. 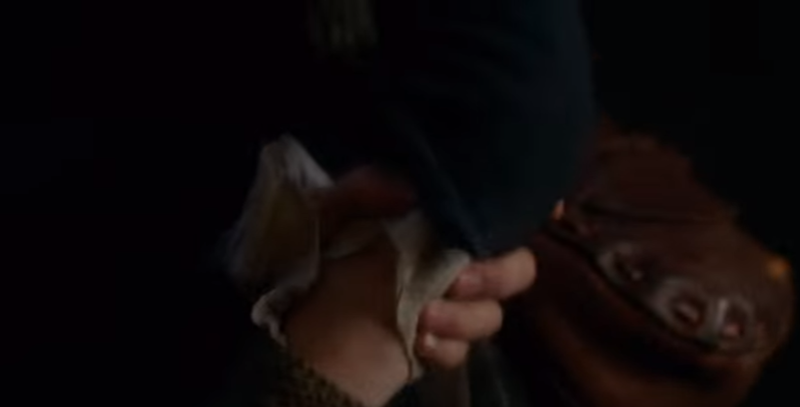 Jamie is clearly the most trained and with them coming off the victory of Prestonpans, one would think this was a good suggestion. Even from the preview, they all agree with him to move forward with the plan. However, with Dougal strutting about in the camp on his horse, you already know something will go awry. 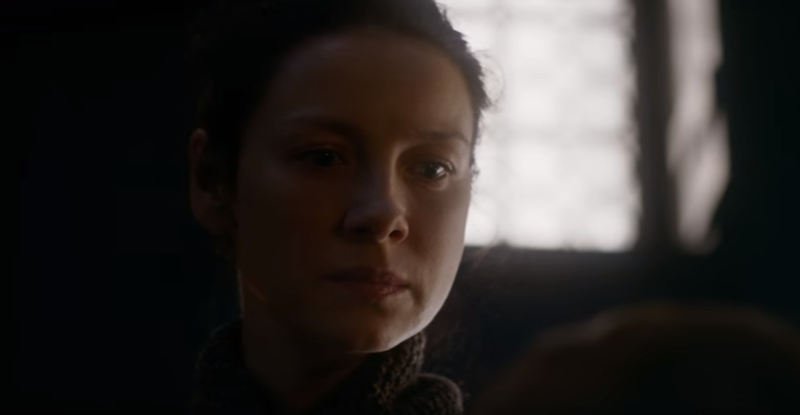 The episode title also ties very neatly with last week’s episode of the Gaelic prayer Jamie whispered over Claire, while she slept, asking God to protect her and the baby she might carry. 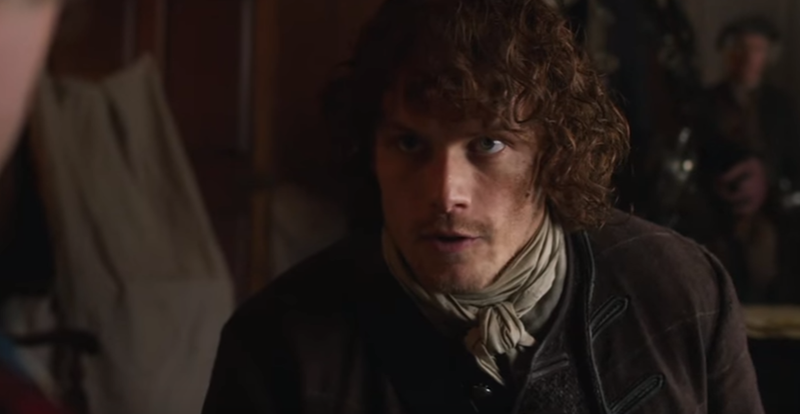 He has also repeatedly told Claire that no matter what happens, he will make sure she is safe! 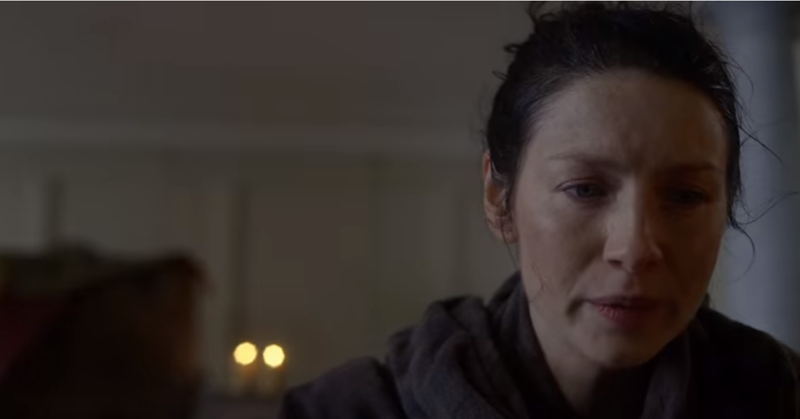 Additionally, from the the preview and the synopsis, it also refers to an ailing Alex Randall, of whom Claire comforts, planning a Hail Mary to protect the mother of his child. 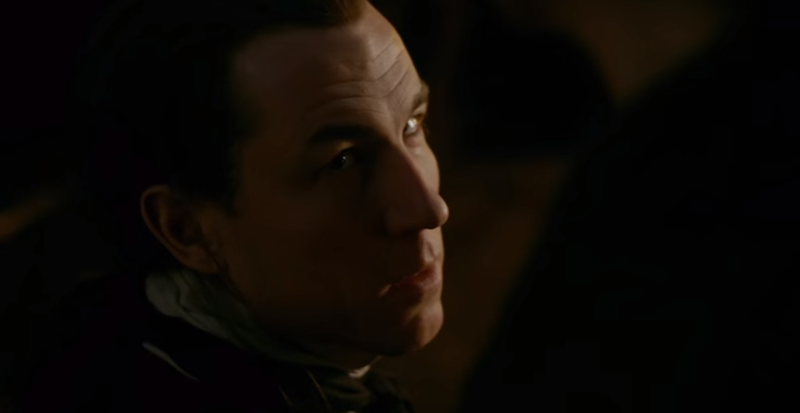 This means Claire will come face Black Jack Randall once again. 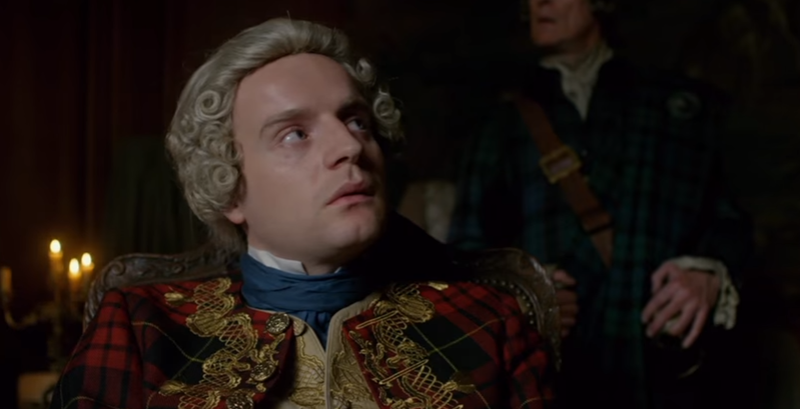 If he came to Alex’s rescue when the Duke fired him, he will certainly be there to care for his ailing brother. It would be nice if we saw a softer side to him, at least once. Damn! We will defeat our enemy, once and for all. How the bloody hell did we end up here? Will there be any other Hail Marys? Will they defeat all of their enemies? We will just have to wait and see how this plays out.